For nearly nine months, tiny Izabella remained on life-support in the Pediatric Intensive Care Unit (PICU) at UF Health Shands Children’s Hospital. Miraculously, she survived until she was able to receive a new set of lungs and a new heart. In January of 2013, Izabella became one of the youngest patients in the U.S. to have received a heart-lung transplant. 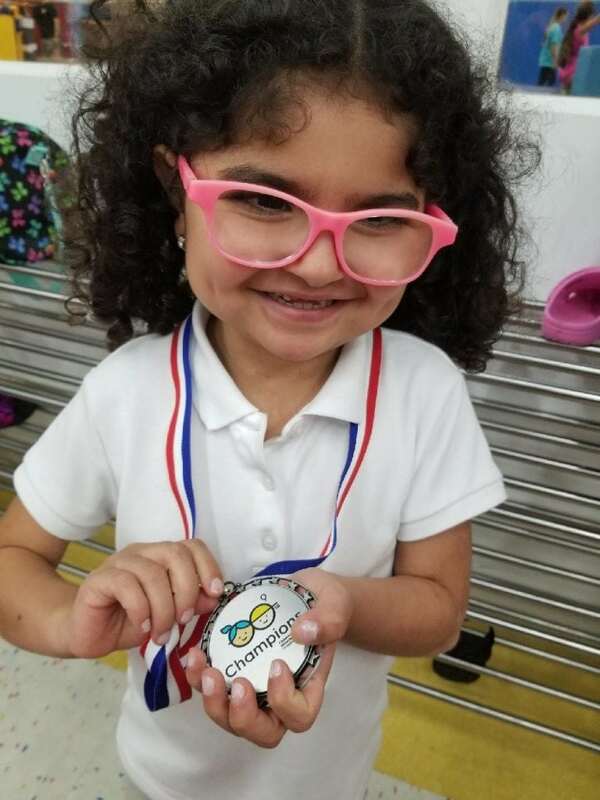 She is currently serving as our local Children’s Miracle Hospitals Champion and wears her medal often as a point of pride. Want to help kids like Izabella at your local Children’s Miracle Network Hospital? Click here to learn more.